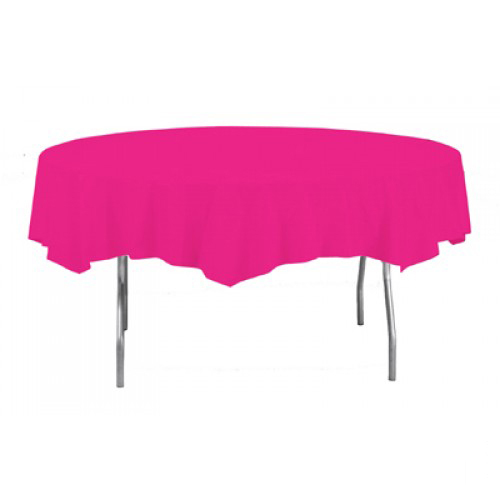 Hot Pink Plastic Round Tablecover Sold Single. Diameter: 213cm. Material: Plastic. Great Value For Money. Wipeable and Reusable. Disclaimer: Colour shades may vary with other matching Items of the same colour theme.